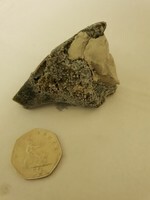 Shop > Categories > Your Recent Finds > Possible tooth , horn, bone ? Hi all whilst fishing the holderness coast today I found this sticking out of the dark brown clay, roughly 40 ft down from road level . I think it could be a species of horn coral. That last pic shows some kind of pore structure so I'd go for sponge. Hello Ben and welcome to the forum. Your specimen does look a bit like a horn coral, but I would need to se a bit more detail. In photo 5 there is clearly a a growth of a bryozoan, probably a Fenestrellid. 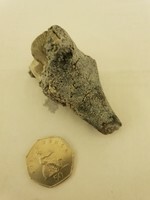 This specimen will have been eroded out of Carboniferous limestone rocks ~ 330 millions years old, This type of rock is found to the North (Durham, Northumberland area) and has been dropped by a glacier. 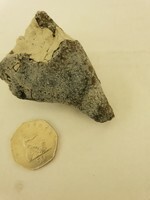 Wow colin thanks for the reply I'll try and take some more pictures close up for you,it was near mappleton where I found it. 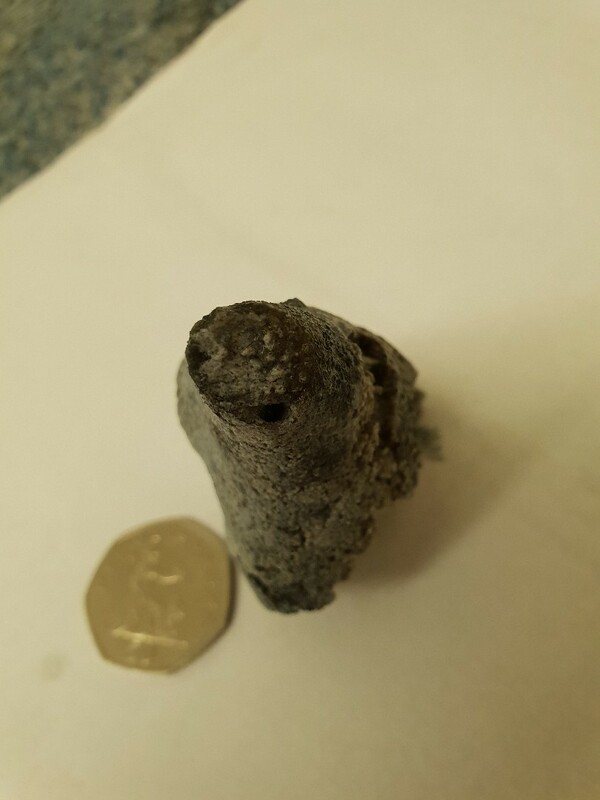 I'm pretty sure it's a Cretaceous sponge, maybe in flint with a bit of chalk still attached. 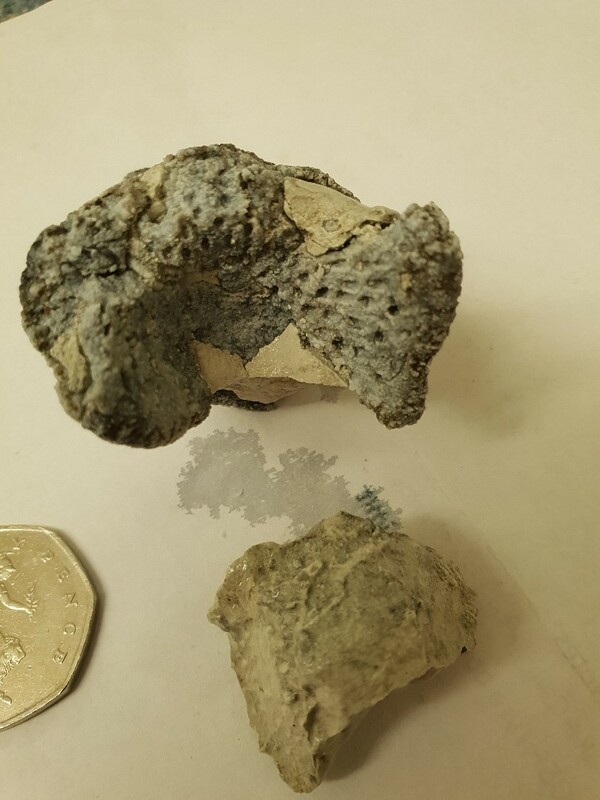 Perhaps Ventriculites (check out images to see similar structure - it's not a fenestellid bryozoan which would be a thin, lace-like mat; this is too chunky and solidly 3D).